July | 2014 | Sonic Smash-Music! The singer and songwriter known as Bar Code Born has released two new single tracks, “I Miss the You I Knew” and “Still Crazy for You.” The singles have been made available as a bundled duo in the tradition of the single and B-side 7” record. They have been proudly published as independent releases entirely without support from the corporate music industry. Impeccably produced, cleverly written and masterfully performed, Bar Code Born’s “I Miss the You I Knew” and “Still Crazy for You” have a style all their own and are likely to appeal to a broad range of music fans. Bar Code Born’s new tracks are variously categorized as electronica and pop music, though they can also be found in the indie pop and alternative rock bins, among others. The artist cites as main music influences Smashing Pumpkins and the Psychedelic Furs, as well as the singer-songwriters of the oldies genre. Fans of these are likely to be well pleased with the similarities they find in these new offerings from Bar Code Born. Full, lush harmonies and melodic song structures make “I Miss the You I Knew” and “Still Crazy for You” excellent additions to any music lover’s collection. Bar Code Born began as the three-piece band, Barbie’s Gun in 2001, but changed their name due to lawsuit threats from Mattel, Inc. They have been courted by music labels such as Jet Speed Records and received an award from the Unisong International Songwriting Competition. They have previously been awarded a grant from the Arts and Cultural Council for Greater Rochester, and featured on public television WROC channel 8. 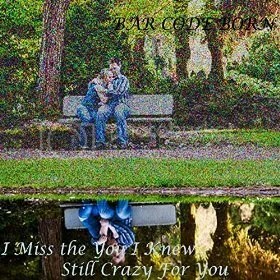 “I Miss the You I Knew” and “Still Crazy for You” by Bar Code Born are available online worldwide beginning 3 August 2014. The alternative-rock crew known as Sunstack Jones have released their latest LP record, “Roam.” The record comprises 10 original tracks for an approximate total listening time of 40 minutes. It has been proudly published on the Mammoth Bell Recording Co. record label as an independent release without support from the corporate music industry. Populated with acoustic guitars, rolling beats and consistently remarkable songwriting, “Roam” is a lo-fi record that fans of indie music and Brit pop will be able to agree on like no record before it. 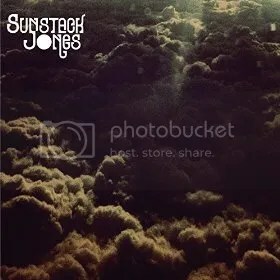 Sunstack Jones cite as main artistic influences such musicians as Ryan Adams, Nirvana, Mazzy Star, the Sundays, Beachwood Sparks, Scott Walker, Lee Hazlewood, Pink Floyd, and Sonic Youth. Attributes of each can readily be found in “Roam,” particularly in the cases of Mazzy Star and the Sundays. The open-air, other-worldly feel of Pink Floyd runs like a strong undercurrent throughout the record, and a raw simplicity ties Sunstack Jones to Sonic Youth in terms of songwriting and apparent artistic principle. Their official band bio describes their sound and style as “ethereal dream-pop psychedelia,” a descriptor which colors them appropriately, though their overall effect is not as complicated as the compound adjective might suggest. On the contrary, “Roam” by Sunstack Jones is an incredibly accessible rock album, one which both the casual listener and true audiophile can quickly dive into and thoroughly enjoy. The Mind” appeared in 2012. Soon after making live appearances at Britain’s popular Cloudspotting Festival and with This Is The Kit, they hit public radio on Mark Radcliffe’s BBC Radio 2 Music Club show. Recording sessions for BBC Merseyside’s Introducing followed, as did spots on Tom Robinson’s 6 Music Mixtape Show and Fresh Faves. “Roam” by Sunstack Jones is available online worldwide beginning 2 August 2014. Get in early. 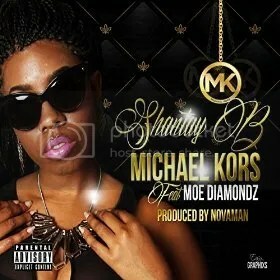 The singer and songwriter known as Shantay B has released her latest single, “Michael Kors.” The track features an appearance by popular independent recording artist, MC Moe Diamondz. It has been produced by Novaman and published on the Novamanmusic independent record label. Smooth, ultra-feminine and classy from head to toe, “Michael Kors” by Shantay B is a single built on both natural and polished talents, and one which fans of both R ‘n’ B and hip hop are sure to appreciate. Shantay B cites as main artistic influences such legends as Whitney Houston, Beyonce, and Frank Ocean. The style of her own track, “Michael Kors,” bares resemblance to the songwriting style of Beyonce, while the crisp, clean quality of the vocal tracks are more akin to Whitney Houston. The end result is a display of sonic finery which matches the themes of the track very well. Her official artist’s bio relates their meeting and collaboration on the single: “This was a pivotal point in Shantay’s music career because she never worked with any producer that could convey her ideas and help to polish her writing abilities. One day, Novaman was inspired by Shantay’s normal fashion apparel, which is usually an array from designers including Christian Dior and Michael Kors. He was inspired to develop the ‘Michael Kors’ track and presented it. Shantay was highly impressed and immediately began inking her thoughts and emotions. Shantay B is currently recording her new EP and has stated plans to impact the music industry in a positive way. “Michael Kors” by Shantay B is available online worldwide. The Vancouver rock trio known as the Vidos have released their latest EP record, “All the Time.” The EP is composed of five original tracks for an approximate total listening time of 15 minutes. The album has been proudly published as an independent release entirely without support of the corporate music industry. 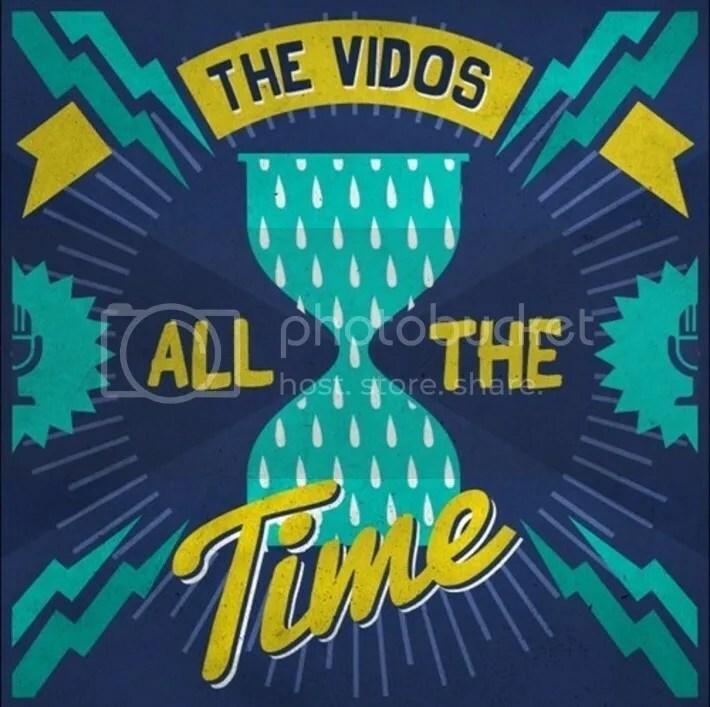 Upbeat, poppy, raw and quirky, “All the Time” by the Vidos has everything fans of indie rock look for, and for which fans of indie rock keep coming back. The Vidos cite as main musical influences such bands as the Strokes, Red Hot Chili Peppers, the Foo Fighters and Sonic Youth. Their official Facebook page also gives mention to the Vaccines, the White Stripes, Weezer, Marilyn Monroe, Radiohead, and Smashing Pumpkins. While this amalgam may seem unlikely and varied at first glance, a consistent thread appears in terms of imaginative tones, general irreverence and clever songwriting throughout. Each of these sonic attributes is clearly evident in “All the Time” by the Vidos, and audiophiles in the Vancouver area have been taking notice. Exuberant, youthful and eternally energetic, the Vidos list among their favorite things Mario Kart, “(awful)” movies, hockey, art, exotic cheeses, tetherball, and the color orange. Their bizarre collective sense of humor is integral to the overall Vidos experience, one which affects their music from its writing to its performance, and from its performance to its recording. One track from their previous LP record, “2012,” includes vocals recorded through a tiny microphone implanted in a toaster, into which their singer projected his voice. 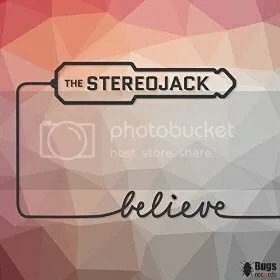 Formed in 2011, the band’s live videos drape across the Internet like a blanket and can be viewed from an assortment of websites including their official band site (link provided below). Live interviews on public radio stations are also available for listening. “All the Time” by the Vidos is available online worldwide beginning July 25, 2014, and directly from the band’s official website now. Get in early. The DJ, rapper, and music producer known as Darkside has released his latest EP album, “Free Agent (Tru Stories).” The EP contains six original songs and has an approximate total listening time of 22 minutes. It proudly has been released on the Born Famous Entertainment independent record label. Heavy on the bass, racked with rhythm and packed with urban poetry, “Free Agent (Tru Stories)” by Darkside is clearly one of the indie rap titles to hear in the summer of 2014. Darkside cites as main artistic influences some of the most seminal songwriters in hip hop, including KRS-One, Rakim, Wu-Tang Clan, DMX, the Notorious B.I.G.,and Jay-Z. These inspirations speak volumes about the material listeners can expect from Darkside on “Free Agent (Tru Stories).” His natural groove and unstoppable flow loom second only to the weight of his carefully penned lyrics. Like much of the work of KRS-One, Tupac Shakur and Michael Franti, Darkside’s material is gritty, true-to-life and cleverly worded. Darkside, who started as a DJ at the age of 10, was raised in Baltimore with hip hop in his bones and a message in his mind. The dual title of his new record is both literal and appropriate. It is his debut solo release, having collaborated with other artists for many years. It is also a work of non-fiction. 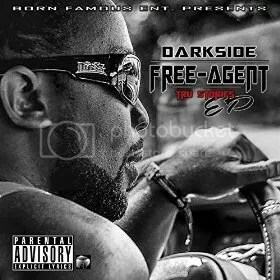 “Free Agent (Tru Stories)” by Darkside is available online worldwide. The rappers, songwriters and performers known as Fighting Bear Bulldozer have released their latest hip-hop single, titled, “Go Time.” The track has been proudly released independent of support from the corporate music infrastructure and bares only the Fighting Bear Bulldozer copyright on over 750 digital music outlets all around the world. The track is a modern, cutting-edge example of hip hop from the mouths and minds of the people to the ears and hearts of listeners everywhere. Fighting Bear Bulldozer’s “Go Time” is packed with vibrant, aggressive rhythm and equally direct, in-your-face vocal work. The back beat keeps time with a pounding bass and bursting snare combo, filled with steady hi-hat work that makes a curtain of rattlesnake shake for a backdrop. Against this sibilant backing rhythm, Fighting Bear Bulldozer raps in the upper register with sharp, machine-gun phrases written with the specific intent that the listener should be encouraged to stand for what he or she believes in and fight for the cause. When one listens to the track, the lyrical emphasis on this basic principle is clear; it is simply “Go Time,” after all, when the flame runs out of wick and the powder takes to charge. Fighting Bear Bulldozer are building an explosion. Fans of such artists as Jay-Z, the Notorious B.I.G., Kanye West, DMX and other such legends of urban poetry will not be disappointed by this new offering from Fighting Bear Bulldozer. 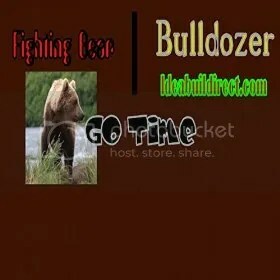 “Go Time” by Fighting Bear Bulldozer is an affiliated music project of IdeaBuildDirect.com, which bills itself as “Your 1 stop entertainment complete supersource.” The site advertises instrumental music “easy and problem free,” and currently features a downloadable full-length film, “Always Rise” with a viewing time of nearly 21 minutes.